A wedding is one of the most important, dreamy days of your life. But when that far off fantasy becomes an impending reality—someone said yes, you’ve set a date, and you’re mailing invitations—the stakes of the situation sink in. How are you going to make it special? How are you going to keep all those people entertained? How are you going to create lasting, intimate memories with your partner and also with dozens of your closest friends and family? Nothing can make a memory last longer than a picture. In addition to the traditional wedding photographer, you should have a fun, interactive way for your guests to snap photos themselves. There are lots of possibilities—set up a green screen for an endless array of crazy backgrounds, have a box of fun props, or use a chalkboard for adding dialogue or thought bubbles. You can also get photo strips printed instantly personalized with your wedding information and theme for fun party favors. Don’t forget about a guest book! Even if you think you’ll remember the day forever, things can get foggy after a few decades. A polaroid guest book allows people to snap pictures of themselves to glue in. Or, a fun “anniversary piñata” where guests write a memory of the wedding on a piece of paper, seal it inside the piñata, and the bride and groom smash it open one year later to relive the memories. 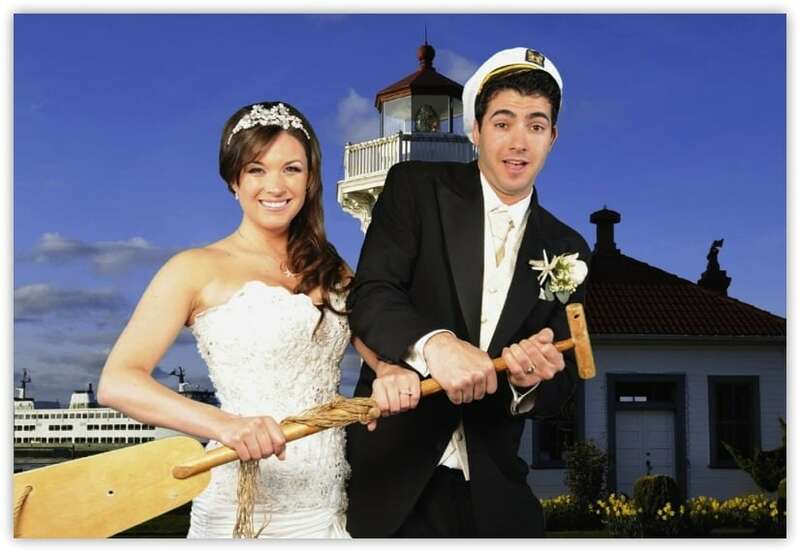 The type of entertainment you choose for your wedding will make a lasting impression. Make sure guests are never bored with live music, dancers, balloon artists, or a wedding magician, who can walk amongst the crowd performing for intimate audiences. The entertainment will get better with each bottle of champagne. If you’re planning a summer wedding that will go into the night, look for an outdoor location near a body of water, especially a calm and publicly accessible one. It’s easy to set up a tent tent to serve as the reception area, and the light from your lanterns and candles reflected on the water will make for an enchanting memory. Go above and beyond by renting paddleboats, canoes, or small rafts for guests to enjoy!